Gay, Sun and Fun at Eurovision in the City that Never Sleeps! Eurovision 2019 is coming to Tel Aviv and you should too! 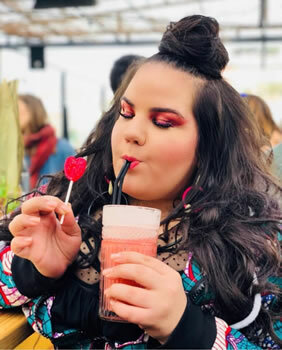 After Netta's amazing victory at the 63rd Eurovision Song Contest in Lisbon, the music festival is coming to Israel for the third time! 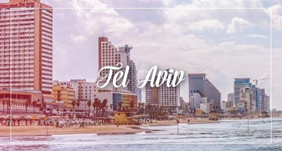 Happy Gay Travel & OUTstanding Travel has put together a fabulous program highlighting the best of Tel Aviv and Israel in honor of the 64th edition of the Eurovision Song Contest. Join thousands of tourists in celebration of Europe's hottest and gayest event of the year. Pack your sunglasses and bathing suit to soak up the mediterranean spice - Tel Aviv style. Start your summer adventures in Tel Aviv! The host city of Eurovision 2019 has been officially confirmed as Tel Aviv. 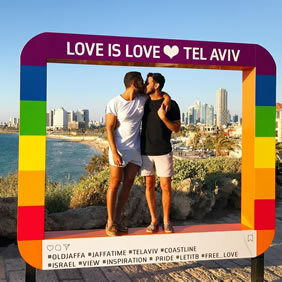 Tel Aviv is the second largest city in Israel with a population of 445,000, and is a major center of culture and entertainment and the Gay capital of Israel. Tel-Aviv is quickly making a name for itself as one of the top Gay destinations in the world. Every year around 2.5 million international tourists visit Tel Aviv, ranked the fifth-most-visited city in the Middle East & Africa. The beaches of Tel Aviv are often ranked as some of the best beaches in the world. Tel Aviv is called "The city that never sleeps", because of its active nightlife, with a huge variety of nightclubs and bars, many of them LGBT friendly. Tel Aviv is often ranked as one of the top LGBT destinations in the world. Avoid the hassles of limited vacancies and sold out soirees. Book your Eurovision 2019 Week with us and experience Eurovision & Gay Israel the right way. Our suggested program is below, however, feel free to contact us for questions or bespoke itineraries. Shalom and welcome to Israel! Upon landing at Ben Gurion Airport, you will be greeted by an OUTstanding Travel representative who will assist you with your baggage and with your transfer to the hotel. Upon arrival at your hotel, walk the streets of Tel Aviv and soak up the vibes of one of the hippest cities on earth. 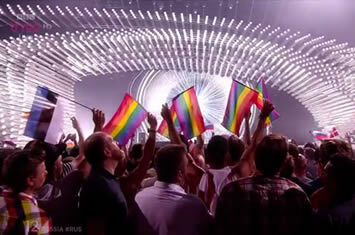 Embrace the gay vibrancy and pride, a paradise of golden beaches, world-class nightlife, culture and cuisine. Head over to the Charles Clore Park by the sea - the Eurovision village and enjoy all that the show has to offer. Departing Tel Aviv, head south-east through the Judean Desert to the mountain fortress of Masada. With the cable car we will ascend to the mountain top where lays the ancient fortress. Overlooking the biblical Moab Mountains, Masada was built in year 30 BC by King Herod. Right there, at the top of the mountain, in middle of the desert, discover the history of one the greatest Jewish symbols of hope and pride. 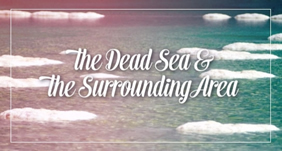 Continue to the lowest point on earth for some swimming & floating at Mother Nature's largest spa - The Dead Sea! Spend the afternoon enjoying the buoyant therapeutic waters and world famous rejuvenating mud of this mineral-rich sea, before enjoying an Israeli style buffet at a hotel in the area. Enjoy the exciting Eurovision second Semi Final taking place tonight! If not at the venue itself, join thousands of locals at Charles Clore park, the Eurovision village for a simulcast viewing of the contest. A day to relax and recover. Make the most of your stay in Tel Aviv. 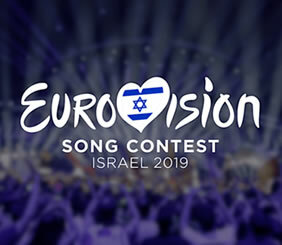 Spend the day lounging at the Hilton Gay Beach or visiting the Tel Aviv port and gather your strength for the tip top high of this week - Grand final of the Eurovision Song Contest! 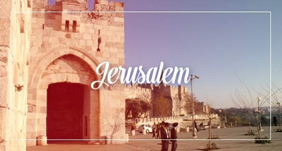 Following breakfast, check out from the hotel and transfer to Ben Gurion International Airport for your flight back home, taking with you everlasting fond memories of your Israeli Eurovision Weekend. Below you may choose from 5 different hotel & rate options. The first luxury hotel of its kind, The Jaffa Luxury Hotel is located within the walls of a 19th century complex that once housed Jaffa's French Hospital. The Jaffa provides unrivaled exclusivity in an internationally desirable destination. Surrounded by the city’s most fashionable neighborhood and just minutes from the beach, The Jaffa provides a perfect blend of service, style, and state-of-the-art luxury. 120 rooms and suites offer stunning views of Jaffa, the Mediterranean, or enchanting courtyard. After a day of exploring this ancient port city and its environs, retire to the personalized luxury of your lodgings at The Jaffa. Distinguishing features of range of accommodations include private balconies, king beds, custom designer furnishings, and beautiful finishes. Don Camillo is a classic Italian restaurant, born from the collaboration of renowned Israeli Chef Roi Antebi and Major Food Group, a world leader in food, beverage and hospitality. An inventive take on traditional New York deli delights, Golda’s Delicatessen serves a menu of distinct classics, including open face salmon bagels, Reuben hot dogs, double cheese burgers and grilled cheese. This property is 1 minute walk from the beach. Set right on the beach, Herods Tel Aviv overlooks the marina. It offers an Executive Business Lounge on the 17th floor and rooms with balconies and Mediterranean Sea views. Each room has a contemporary design and a range of modern amenities. These include free WiFi access, an LCD TV and tea and coffee-making facilities. Each bathroom comes with a cozy bathrobe and a hairdryer. Breakfast is buffet style at Herods Tel Aviv By The Beach. It is served in the restaurant with sea views, also open for lunch and dinner. Drinks and snacks are available from Tnuval'e during the day. The wellness area includes an outdoor pool, open during summer, plus a sauna and fitness center. • Ticket to one of the Eurovision parties.